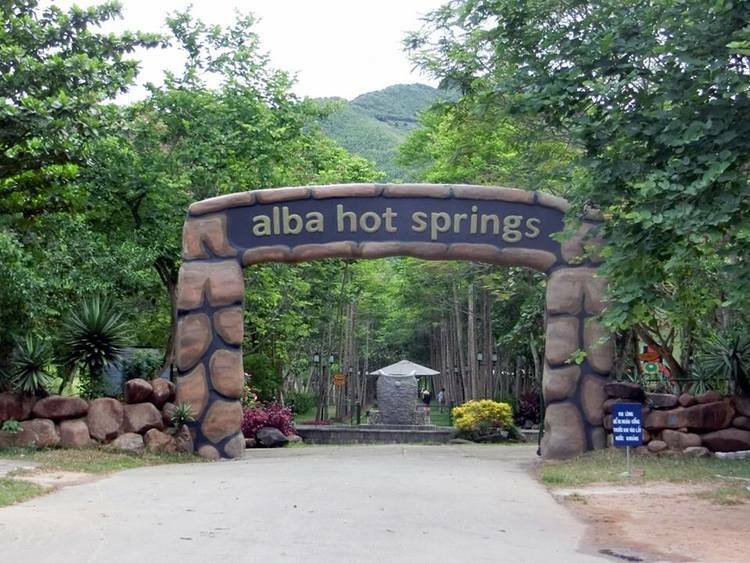 Alba Thanh Tan Hot Springs is a well-known hot spring and ideal health resort in the middle of forests and mountains in Hue which is situated in Phong Son commune, Phong Dien District, Thua Thien Hue Province, around 30 km from Hue city to the northwest. Here, you can indulge yourself in nature and avoid noisy urban places. This is mineral water resources deeply hidden thousands of meters underground that contain the large concentrations of Silicium and Calcium Sulfate, which are good for your health. Being famous as a tourist destination for health care and recovery using the spa therapy and hot mineral springs, Alba Thanh Tan surely offers visitors a healthy and fun vacation, fresh mountain air, natural views, and healing waters. Due to its advantages and excellent services, Alba Thanh Tan Hot Springs is considered as one of the appealing tourist attractions in Thua Thien Hue attracting both international and domestic tourists. The temperature in the pure mineral water springs or warm streams at Alba Thanh Tan Hot Springs is around 35 to 42°C. Thus, tourists can visit Thanh Tan any season around the year. Alba Thanh Tan Hot Springs is constructed in an area of 50 hectares. The green of the greenery and forests offers visitors the feeling of comfortable and relaxed right from the first impression. Besides, the combination of a peaceful and tranquil space in the charming land and vivid cottages looming will form the senses of incredible serenity in the soul of tourists. It is the picturesque natural stream and winding streets at the foot of the mountain. The home to dip in hot mineral water is the central area between the green forests. In the tourist area, you can select yourself one of the suitable outdoor bathing spots. Along with that, you can immerse and enjoy in the diverse systems of lakes including a family lake or twin lakes or in the pure mineral water springs or warm streams hovering around the hills. In the cold weather of winter or autumn, Thanh Tan hot mineral spring certainly becomes an ideal tourist place. On hot summer days, on the other hand, you can indulge under cool water with a few entertainment games such as swimming in artificial fountains or beach or tube sliding. Setting foot on Alba Thanh Tan, travelers will have an opportunity to get exciting experiences with two adventure games namely Zipline – free flying overhead and Highwire – adventures on the treetops. Tourist can also take part in exciting games such as pool sliding, games in the waters, camping, exploring the local culture and natural landscapes, and waving swimming pools. The hostel system is also built to meet the tourist needs. After bathing, you can comfortably joint in the attractive programs of gymnastics, physical training, or mineral water steam. 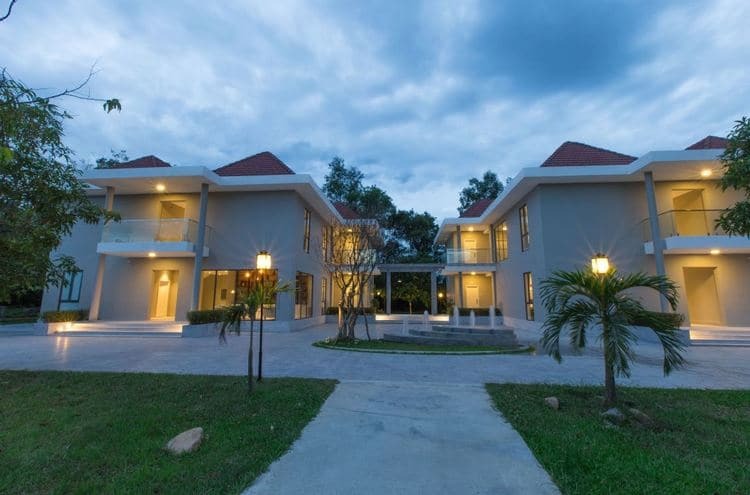 Alba Thanh Tan Hot Spring provides you with multiple attractive services such as massage services, karaoke, bonfire interacting or car rental to discover Hue travel. Apart from that, Thanh Tan meets the needs of travelers in each season around the year by offering appropriate entertainment services. Four seasons of spring, summer, fall (autumn), and winter, Thanh Tan is always crowded with visitors. Here, they will have a chance to dip in the hot springs full of natural minerals. You can also enjoy cuisine with local specialties at Alba Thanh Tan. You are free to explore the forest of Lemon Eucalyptus to fully enjoy the peaceful, pure, and tranquil atmosphere with the birds’ songs. In addition to this, you can buy traditional handcrafted products in Alba village, play volleyball, billiards, badminton, and fishing. Alba Thanh Tan Hot Springs Resort in Hue is one of the best deluxe hotels in Vietnam. It is the great point of departure for your excursions in Hue. Alba Thanh Tan Hot Springs offers lots of facilities to enrich your stay in Thua Thien Hue. The hotel provides room service, lockers, free Wi-Fi in all rooms, car park, and laundry service to ensure guests the greatest comfort. Besides, the hotel features sixty-seven beautifully appointed guest rooms such as blackout curtains, complimentary bottled water, internet access, in-house movies or shower. At the hotel, the complete list of recreational facilities is available which include children’s playground, solarium, massage, hot spring bath, indoor pool. 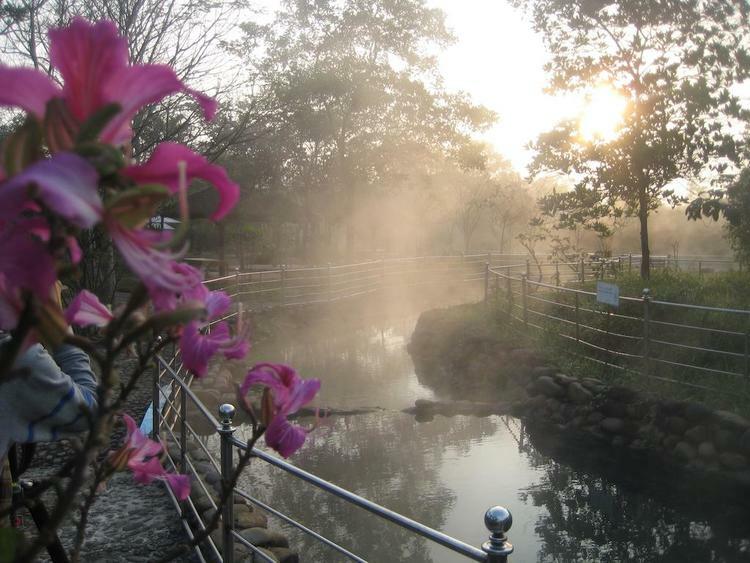 Alba Thanh Tan Hot Springs strongly attracts visitors with not only the peaceful natural landscapes but also numerous excellent services to help meet the needs of visitors. It plays a crucial role in promoting Hue tourism to a variety of international friends. Discovering Thanh Tan will certainly leave memorable impressions in the trip of exploring Hue travel. Also, share your travel experiences with other readers and us. Visit our Vina page to read more about many famous destinations in Vietnam.